Large job boards like Indeed and Glassdoor compete to display millions of jobs. Niche job boards like our DiversityNursing.com job board, help you reach a more precise audience..
Niche job boards are generally smaller job boards that are location or industry focused. Many niche job boards are sponsored and/or maintained by industry leading professional associations. From a recruiter’s perspective, the industry focus of niche job boards helps to target job advertisements toward qualified candidates. Healthcare organizations need to look at the importance of the recruiting function, and how, if recruiters are able to bring more high-quality talent into the organization, that level of quality will cascade through everything else employees do, ultimately impacting the delivery of patient care. Recruiters like posting jobs on niche boards because they know everyone applying is in the right place. Applicants won’t find search results for jobs in other professions so recruiters won't receive resumes that don’t match the job description they posted. This leads to smaller candidate pools, allowing the recruiter more time to consider each application. According to a Nurse.com article, smaller job boards are familiar with particular specialties, job titles, certifications and keywords your desired audience uses and requires. They understand and stay up-to-date on the hiring trends for their niche profession. For example, if a large organization is laying off workers, a niche job board can help you target a specific market. 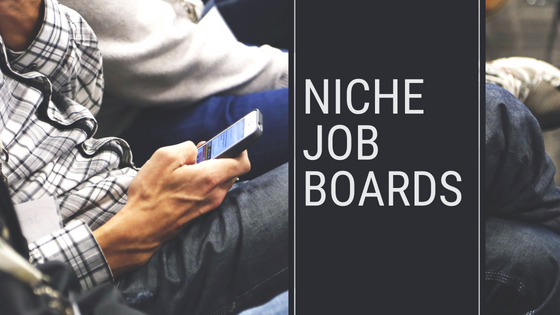 Niche boards offer branding opportunities like job alerts, job board widgets, banner advertisements, and company profile pages like DiversityNursing.com's Employer Profile. Smaller job boards have staff who know your name and answer your calls and questions. They know your time is precious and good communication is key. That means you're talking to a real person not a voice recording. Niche job boards attract the right candidates that have the specialized skills and up-to-date experience that you're looking for. They also receive higher quality and more relevant applications. Therefore, niche job boards are the fastest way to find strong candidates, leading to lower cost-to-fill.